Inspired by Korean innovation, an ultra-thin fibre sheet designed to fit seamlessly on the face and enhance the moisture content within the mask leading to an increased absorption rate within the skin. A diamond has a luxurious and a feel good factor. Also there is the mental satisfaction that you have treated your skin with the best possible that is available. A diamond offers amazing effects to the skin, it works to treat dry and tanned skin, helps eliminate the abundance of blackheads, it helps regeneration of cellular life and boosts metabolic function and discharge of free radicals from the skin layers, allowing the skin to rebuild faster and look more youthful. A diamond is not there just to sparkle on your finger as a ring but it could make your skin radiate like never before. 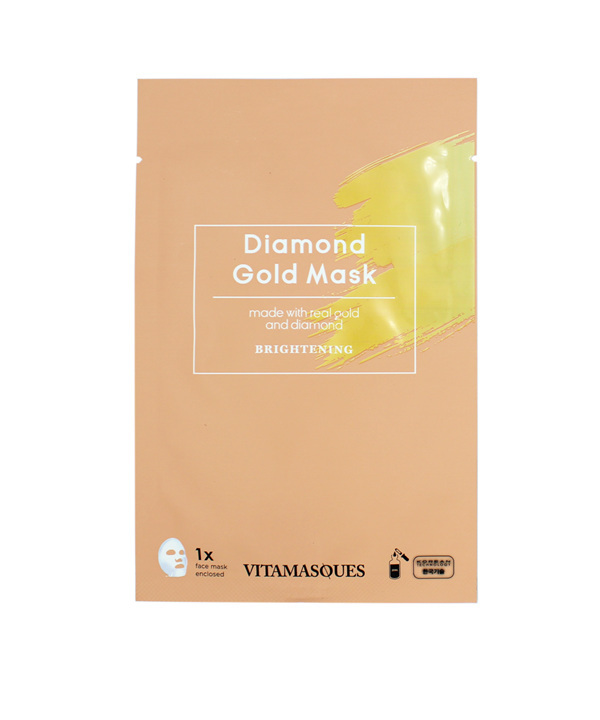 The Diamond Gold mask from VITAMASQUES is the perfect detoxifier as it purifies by gentle exfoliation. Loaded with the benefits of diamond and gold, the mask has an ideal blend to maintain and retain healthy and beautiful looking skin. Using gold has become very popular nowadays, but the use and benefits were very well known to the Japanese, Egyptians and Romans since the beginning of human history. Our gold powder mask works on skin making it hydrated and bright. You can reap the benefits of two luxurious ingredients in one of our best selling masks. Made in South Korea.